New Jackson Makes me Happy! Let's See Your Shredder! Discussion in 'Guitars in General' started by BigDoug1053, Dec 7, 2016. Because of injured wrists, I have been playing my easy to play shredder guitars, and decided to get a new Jackson Dinky Pro DK2QM. 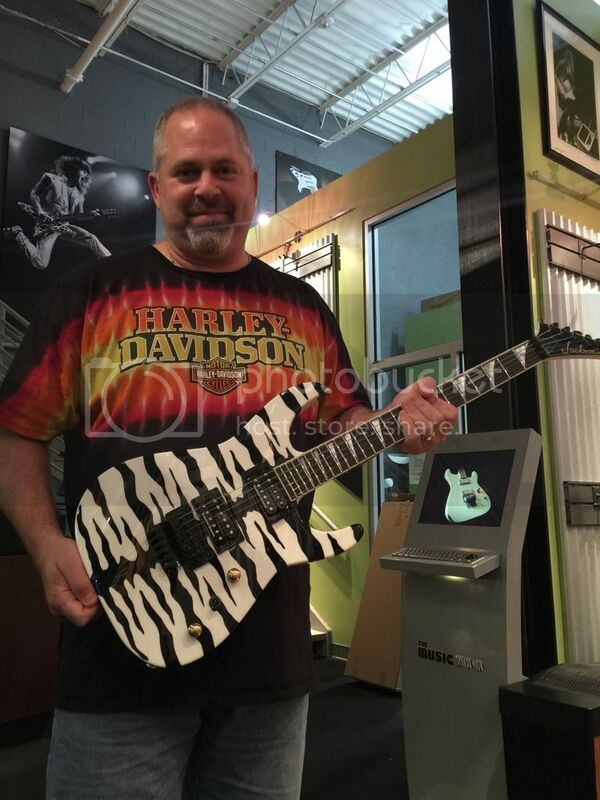 I had a Phil Collen PC1 I sold during a divorce and have a Soloist SLAT 7-string, so I decided to go ahead and get a Dinky. The guitar, MIM, arrived almost ready to play - I only needed to adjust the pickup heights. It has Duncan JB bridge and '59 Neck with a 5-way blade switch that gives you single coil positions for bridge and neck, and Fenderish inner single coils in the middle. It sounds very excellent both clean and overdriven and has prominent harmonics - a very versatile guitar that is easy to play. I like the slightly smaller body and the Floyd feels wonderful. It is darker than these pics suggest, but the top is beautiful and it's elegantly appointed... If you are willing to spend $7-800 for an import guitar, you definitely get a BIG bang for your buck! Here's mine - show me yours. milli vanilli, shane8, Shiny_Beast and 15 others like this. Very nice. I like the translucent purple also. Nice score. Congrats! I like the popcorn quilt yours has. I used to have one of the MIJ Jackson Pro Dinky Standards from the 90's at one time. Very nice guitar. I shouldn't have sold that one. These days my Superstrats are all Carvins. leonard d rock, Little_Wing, AlanH and 4 others like this. I've been digging the Ibanez S-series Prestige (super-strat style) guitar as a possibility to fill the hole left behind after selling my Les Paul Axcess. That's awesome! 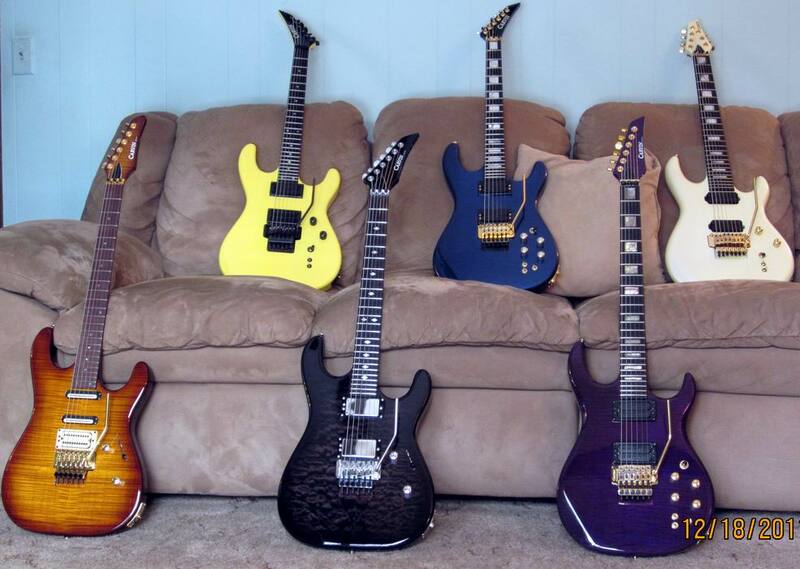 I have a Jackson x series with 81/85 emgs. 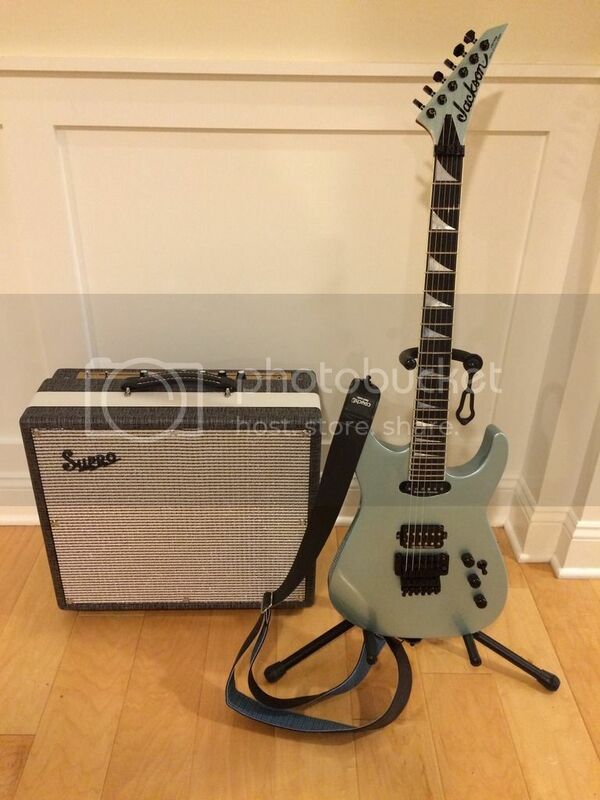 I too love "shredder" guitars. Can't play em very well but I love em! Here's my Custom Shop Soloist. Love the guitar but I wish I had ordered a hard tail. 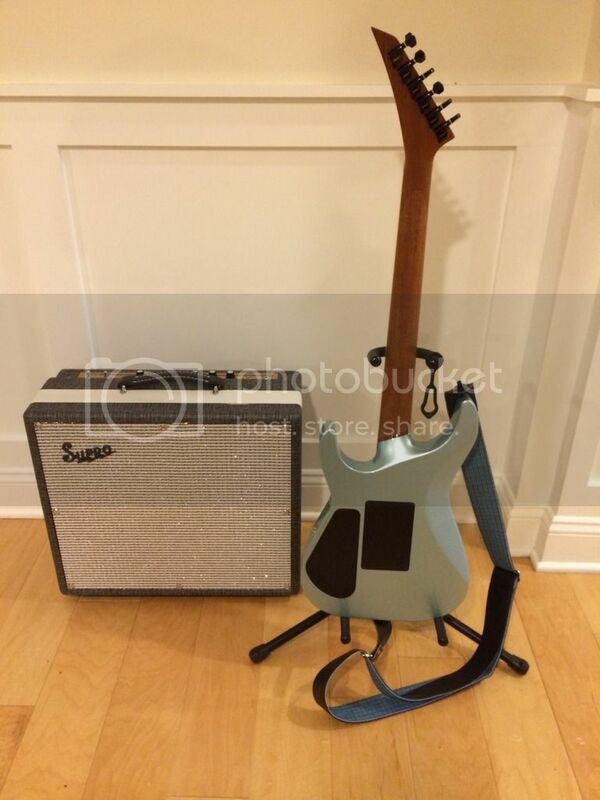 Washburnmemphis, 65DuoSonic, Little_Wing and 8 others like this. 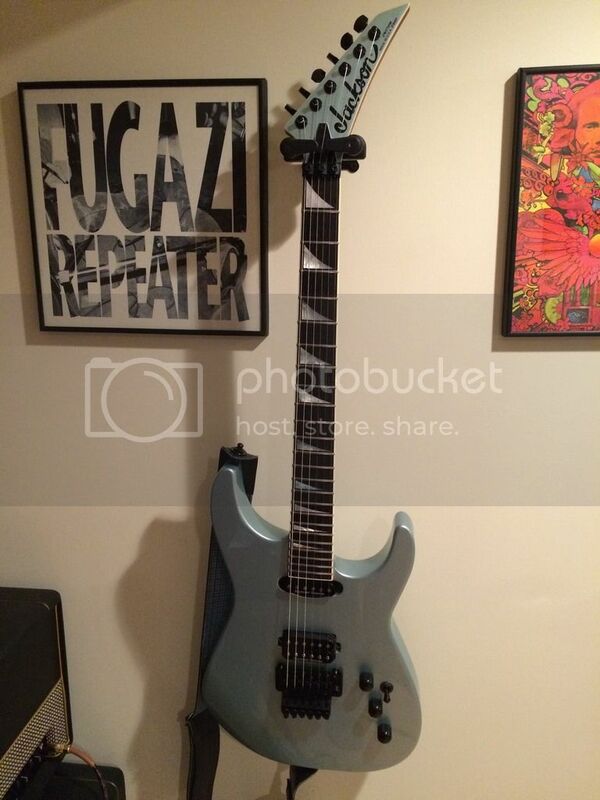 My Custom Shop Soloist too. Outrageous guitar. Geiri, andyk, leonard d rock and 11 others like this. Little_Wing, fishruss, BigDoug1053 and 1 other person like this. BigDoug1053 and Peralta like this. 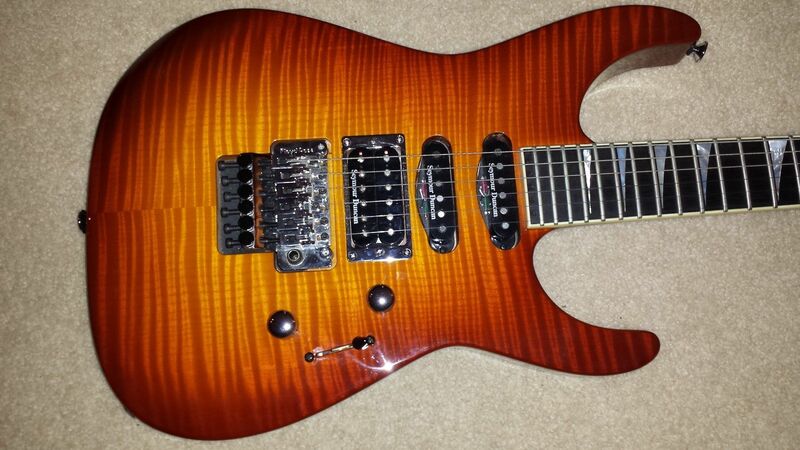 You can't go wrong with an Ibanez S model - and the Prestige quality is very good. I have an S1520FB Prestige and an SAS36FM - both wonderful. I recognized that room right away. Lots of fun to be had there. Very nice. I'd love to have the hard tail version. Washburnmemphis and BigDoug1053 like this. I'm a total super strat guy. My main guitar is a Carvin ST300, with a Floyd and Stainless steel frets. Love that guitar. 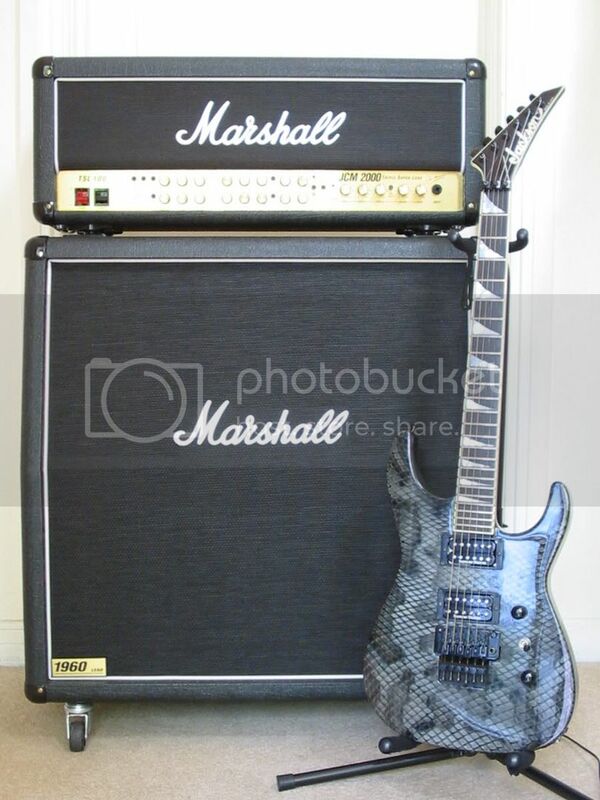 My favorite guitar though is a USA Hamer Diablo. I've done a bit of work to it, and it's now the perfect guitar for me. Sounds great, plays great. The only issue is that now after 20+ years of my banging away on it, the pivot points are worn out on the bridge and it needs to be replaced. It doesn't stay in tune anymore like it used to. But at the moment fixing it hasn't been a priority. I'm not much of a shredder player but I like heavy music. Here's my ESP KH-2. BigDoug1053 and Gallery like this. Time flies when you're having a good time! I had to replace the trem unit in my 89 Steinberger GL after it failed (metal fatigue at the base) in 2015. Colamander, milli vanilli, BigDoug1053 and 5 others like this.